This teacher has successfully passed our Cleftune Background Check. My name is Robert Lee. I am a graduate from the University of Guelph Bachelor of Arts Honours in Music Program and the Humber College Bachelor of Music Program. My primary instrument is bass but also perform guitar. I have been playing music since the age of 6. My main area of expertise is in jazz but I am also familiar with many different genres, including rock, funk, metal, folk, indie, pop, and others. I also have experience as a peer tutor while attending the University of Guelph, teaching university music students theory and ear training. 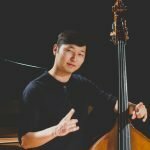 “Robert Lee is an emerging upright bassist, composer, and bandleader in the Toronto jazz scene. He first learned to perform on the violin at the age of 6, before switching to the bass at the age of 14. He graduated from the University of Guelph Bachelor of Music program before enrolling at Humber College. During this time, he has had the opportunity to study with Neil Swainson, Ted Quinlan, Mike Downes, Geoff Young, Lorne Lofsky, Kieran Overs, Andy Ballantyne, Gord Sheard, Pat Labarbera, and others. He has been recognized for his compositional and arranging work, earning the Humber College Duke Ellington Society Scholarship in 2017 and 2018. He was also the recipient of the James Appel School of Creative & Performing Arts Scholarship in 2018.